With the Under 17 Women’s World Cup in Jordan attracting girls and families from 16 countries September 30 – October 1 this year, there’s a new buzz about visiting this peaceful kingdom in the Middle East. 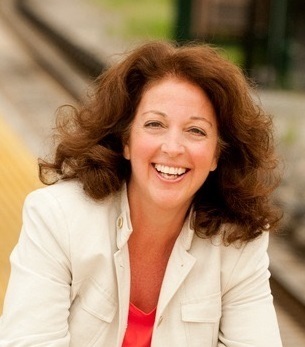 Cultural Heritage TravelingMom took a firsthand look to see what families need to know. A good night’s sleep in a brand new travel location makes sense. On my first trip to the Middle East, looking for every possible angle to slip into the culture – places to snooze turned out to be among the most robust.Visiting Jordan delivered so many diverse opportunities, and such a sense of calm and hospitality, that I’m going back for more. Moving through the kingdom, as this nation is known, should be your plan because the diversity is stunning and the experiences so differently compelling. Since I was on the move, light luggage and different lodging is the way to go. How’s this for a big swath of opportunities? Doubtful I could have pulled it all together by myself, even though travel research is a fine hobby. This is the Middle East, after all, and I’m still a newcomer. 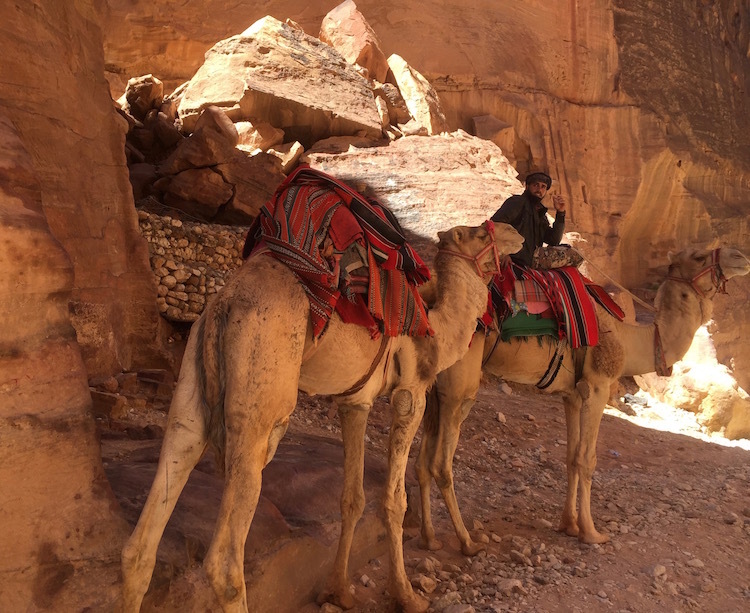 Detailed assistance from the Jordan Tourism Board North America (JTBNA) guided my first visit. For the return, I’m also adding in Sunny Land Tours for their Jordan expertise. I’ll let you know what’s different. 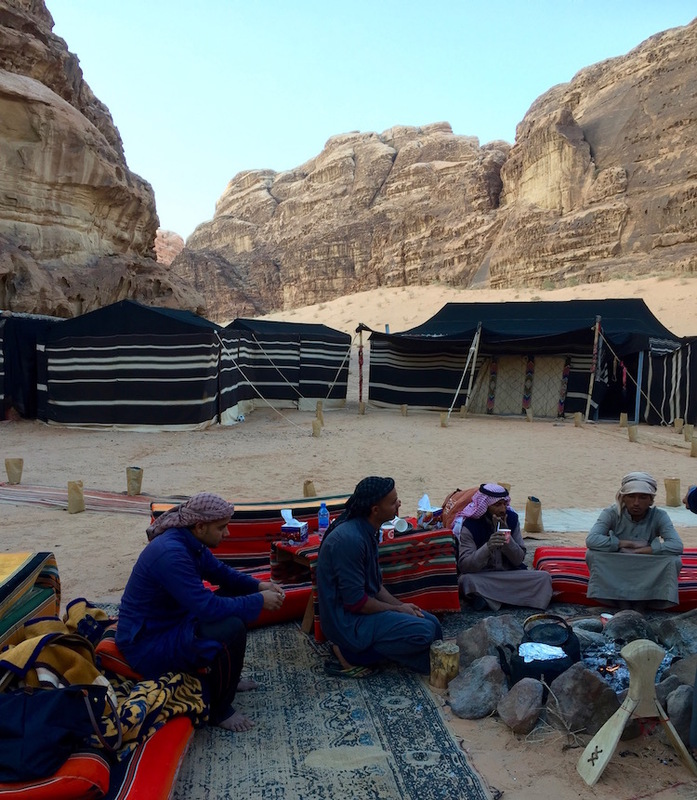 Booking a night or more in the Feynan Ecolodge means meeting the local people — a remarkable immersion in a Bedouin community. Pack your flashlight, prepare your taste buds for local fresh vegetarian meals and head to the roof after dark to meet the stars and constellations over Jordan. All the staff live in neighboring Bedouin tents, and they’ll invite you for Arabic coffee and sunrise and sunset hikes. Cooking classes are possible too, and lessons in preparing and applying the ancient kohl makeup worn to protect and strengthen eyesight. The 45-minute sunset hike is best for including the kids; sunrise guided hiking starts way before dawn, lasting two hours. The 26 rooms are comfortable with private bath, writing desk, filtered water in a hand molded clay jar, and several candles. Prepare your eyes for dim light as dusk arrives. Dark is real. TravelingMom Tip: Volunteer to help the Bedouin staff light candles up and down the stairs, in the hallways, dining room. and lobby. Great way to meet the people and adjust to the dimness. Linger over meals and choose any of the four outdoor seating areas because the views are immense. And you never know when a shepherdess might stroll by with her sheep or a shepherd with his goats. Kempinski might be a five-star hotel name I would have known as a frequent traveler in the Middle East, but new to me on my first visit. Ishtar is the resort’s moniker, and I do know her as the goddess of fertility. This Kempinski, one of 75 with this name in Asia, Europe, Africa and the Middle East, envisions its layout as evoking the Hanging Gardens of Babylon. With 345 rooms and suites and multiple buildings in three sections: main, village and spa, I found it required keeping my wits about me to reach my destination. My room stretched to a balcony the size of a spacious deck on a home on the golf course, perfect for gazing toward the Dead Sea. The bathroom could handle a crowd with tub, tiled shower, toilet each enclosed in spotless glass. The sink and spacious counter provided products made of Dead Sea minerals. 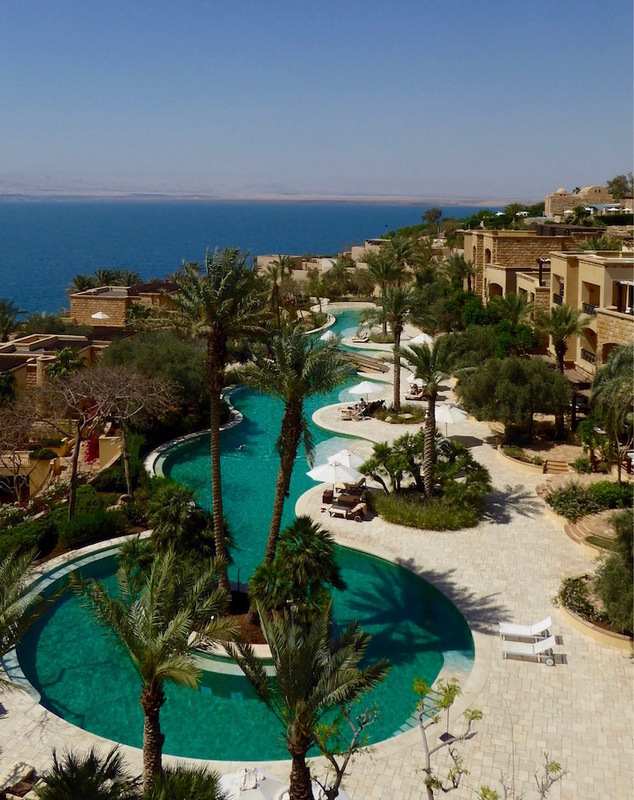 The Kempinski makes the healing properties of this salty sea accessible in many ways beyond the hotel amenities: floating in the water, slathering the body in Dead Sea mud of 21 minerals, slipping into the spa pool filled with water from the Sea. TravelingMom Tip: Wear your shoes to the sea. Think rocky ground, not sandy beach. The lowest place on earth sports a challenging surface. Kids’ Club is an active Kempinski feature with a large indoor space for children starting as young as two, and outdoor activities for those up the age 16. Everything is included with the room registration. Sixteen is also the minimum age for spa experiences. Believing “We all need something from Mother Earth,” the spa uses only Jordan-based products and encourages long, lingering experiences in the many water features in addition to healing options in the 20 treatment rooms. Kempinski cuisine calls for lingering too; I’m not prone to buffet dining but here I found it satisfying first as art gallery, second as inquisitive eating and third as satisfying meal times. Abundance is astonishing so allow time to stroll and photograph, newness in the names and appearance of unknown foods enticed me, happily balanced with some familiar dishes. Nine on-site restaurants provide ample dining options. 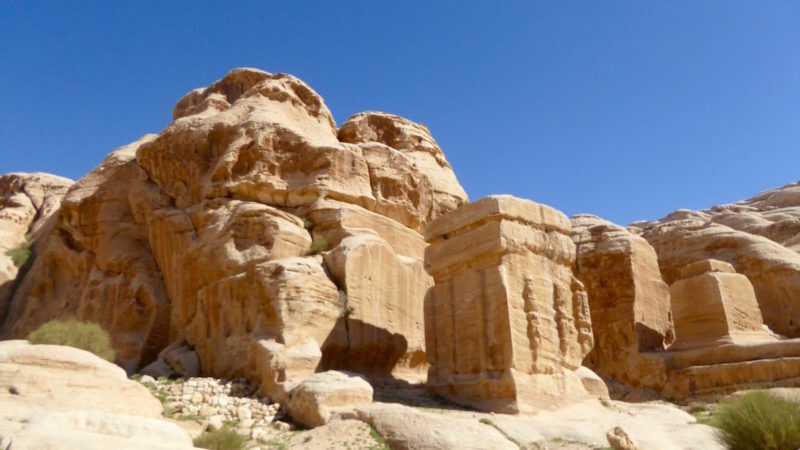 Five-star resort life in Jordan also means many encounters with history. The Kempinski is within easy reach of Bethany Beyond the Jordan, the very river where John the Baptist is believed to have baptized Jesus. Wadi Rum is the name of the desert where I slept in a Bedouin tent woven of black goat hair and large enough for a double bed mattress with room to walk around both sides. Lawrence of Arabia said the Wadi Rum was “vast, echoing and God-like” and you’ll have equally astounding words of your own to describe some time here. Definitely be part of a tour; this is not a drive for the family in a rental car. I arrived in a pickup truck driven by a cheerful Bedouin with remarkable cell service and range of music on his radio. 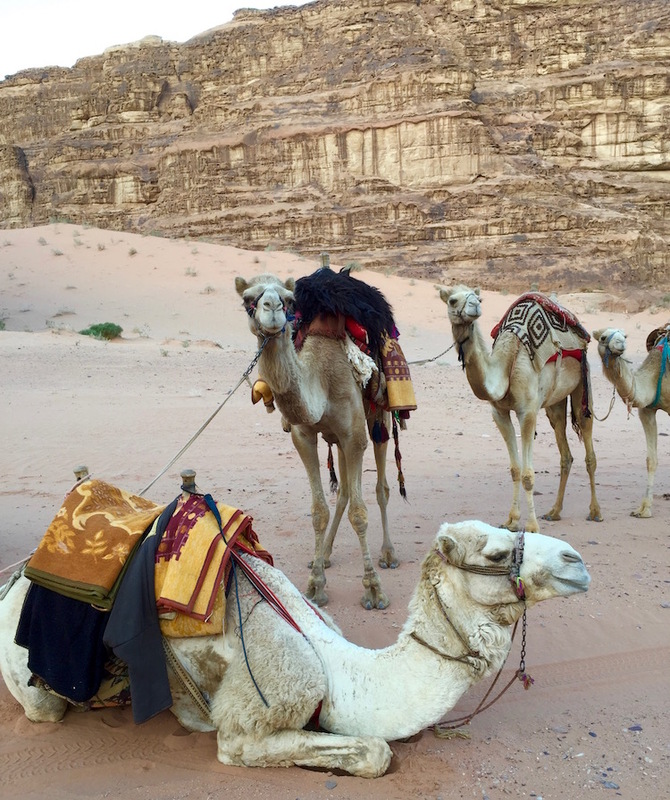 I left on a camel with nine other travelers, imagining myself an intrepid desert traveler for my 45-minute caravan journey. TravelingMom Tip: Ride in the open bed back of the truck. The Wadi Rum is too glorious to glimpse through the windshield. The ancient trade route city of Petra lights up every Jordan traveler’s intention, and the five-star hotel at its gate is named Movenpick. Petra is so compelling, and the walking within so abundant, that seeing my hotel the moment I emerged from the long narrow path known as the SIQ was pure comfort. Inside is quite fine too with an Oriental motif and hints of Lawrence of Arabia. 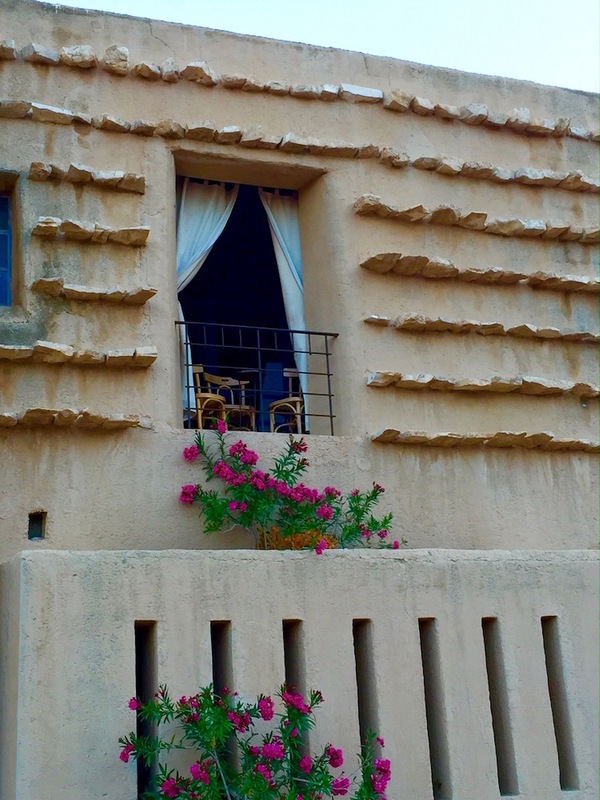 Wi-Fi is easy access but the lyrical sounds I loved best wafted across my balcony and through my windows: the call to worship at the mosque. Lovely, peaceful, inviting tones even to a traveler like me grounded in a different faith journey. This Movenpick offers 183 rooms, some adjoining for families, suites to sleep more than two, buffet meals and fine dining in a more intimate space with a menu. Pool, spa, sauna and plush gathering areas create ways to relax after experiencing the wonders of Petra. Have you visited any other country with such diversity of lodging? Want to win a trip to Jordan? Six people can win an eight-day trip to fascinating Jordan, and 20 others a $500 discount on the trip. That’s one way #MyJordanJourney is celebrating soccer and the Under 17 Women’s World Cup. Games open Sept. 30 in Amman, Jordan. Jordan is a dream destination! These lodging choices are so different and yet all so very appealing. While this wasn’t on my destination list before, Christine, you’ve changed my mind! Jordan is intriguing!